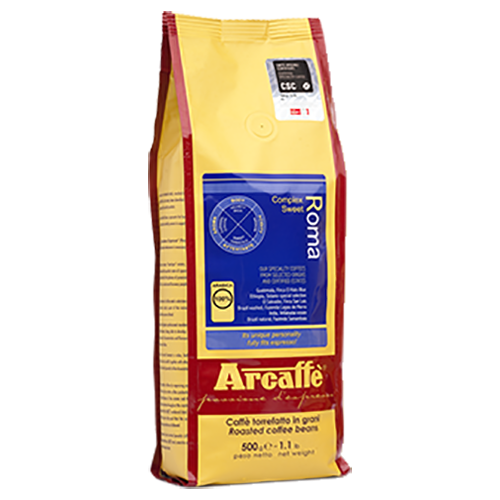 Arcaffè Roma coffee beans is a well-balanced blend of 100% Arabica beans that have been produced since 1926. The blend gives a complete espresso with a soft and pleasing taste of grains, chocolate and a hint of flowers. Arcaffè Roma has a certain sweetness, a lasting body and rich, long finish.